​The 2018/19 Premier League season kicks-off this weekend and 2017 champions ​Chelsea face an opening day trip ​​Huddersfield Town​. The Blues have endured somewhat of a turbulent summer since their FA Cup triumph over ​Manchester United in May. The whole world knew that former manager Antonio Conte was going to be dismissed for failing to secure Champions League football, but what surprised everybody was the time it took to dismiss the Italian. It was not until mid-July, a week after the players returned for pre-season training, when Conte was finally given his marching orders and was swiftly replaced by ​Napoli boss Maurizio Sarri. 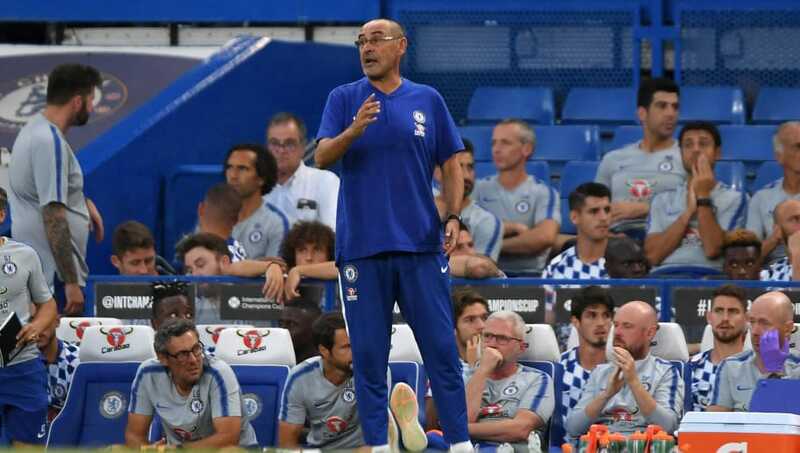 Chelsea's new Italian boss has only had a few weeks with his squad, and their lack of preparation showed during their dismal Community Shield defeat to Manchester City last weekend. It hasn't been all doom and gloom for the Blues, with the club (so far) managing to hold onto key players such as Eden Hazard, Willian and N'Golo Kanté, despite a lack of Champions League football and strong interest from ​Barcelona and Real Madrid. For Huddersfield, this season's goal will be very similar to the last - achieve top-flight survival. David Wagner's side pulled off a mini-miracle to stay up last season, getting almost impossible draws away at Chelsea and ​Manchester City in the closing weeks of the season to ensure safety. Last season's Stamford Bridge encounter still holds some significance today, as the result had a massive effect on where both sides stand going into the season. The equation was simple for both sides: Huddersfield needed a point to mathematically ensure survival, while Chelsea needed a win to keep the pressure on ​Tottenham and ​Liverpool in the Champions League spots. Despite Chelsea dominating the first period, it was the Terriers who took the lead a few minutes after the restart as Laurent Depoitre clipped the ball home after Willy Caballero came out of his goal and fluffed a clearance. The Blues did manage to respond, but in fortunate circumstances, as a defensive clearance by the visitors hit Marcos Alonso square in the face and bounced past Jonas Lossl into the Terriers net. Chelsea upped the pressure to get their much-needed winner, and the visitors were grateful to Lossl who pulled off some superb saves towards the end of the match. But David Wagner's side held on for the point they so desperately needed, while Conte's side were all but out of the top-four race. A lot is expected of Alvaro Morata this season, whose form dwindled towards the back end of last season leading to many Chelsea fans losing faith in the former ​Real Madrid man. Morata will be wanting to get off to a good start to his second season in the ​Premier League, but will face a tough challenge against Christopher Schindler and Mathias 'Zanka' Jorgensen. Schindler is one of the Terriers' leaders on and off the pitch, while Zanka is in good form following a promising World Cup campaign with Denmark over the summer. It will be a tough physical battle over the 90 minute encounter, and whoever comes on top gives their side a good opportunity to take all three points. Huddersfield winger Elias Kachunga has overcome a minor injury and should be fit for David Wagner's side. The Terriers could also give several debuts to players including Adama Diakhaby and Isaac Mbenza. Chelsea boss Maurizio Sarri said it will be difficult to start the Blues' World Cup stars - Olivier Giroud, Eden Hazard, N'Golo Kanté and Mateo Kovacic - after so little pre-season. However, new record signing Kepa Arrizabalaga should come into the side after his deadline day move from Athletic Bilbao, while Italian midfielder Jorginho should also make his league debut. It's fair to say that Huddersfield are far more prepared for the new Premier League season than their visitors, and that may show during the match on Saturday. While Chelsea clearly have the superior talent on the pitch, Sarri's philosophy may not be fully implemented on the squad come Saturday afternoon, which could give Huddersfield and David Wagner a chance to get something from the match.